CMS backup allows saving static and dynamic website data. In addition to a typical website copying, a CMS software solution for backup can copy entire arrays of websites, being a useful tool for web hosting providers and corporate site owners. Handy Backup can save CMS content using its standard plug-ins. You will organize all CMS automatic backup jobs in Handy Backup into a couple of tasks, allowing automated CMS backup and restore. Create and control all tasks through a simple, comprehensible GUI, get reports by emails, run other programs with a task and do every other control action you need! 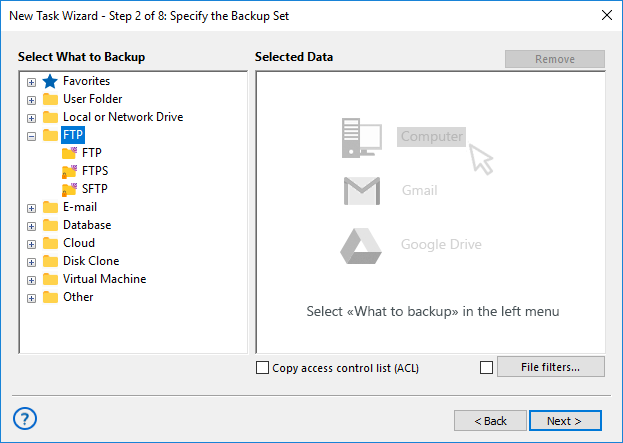 With Handy Backup, you get a couple of dedicated plug-ins for CMS backup data, including FTP, SFTP and FTPS for accessing static data folders and almost all SQL databases existed to backup dynamic data. You may also choose between a big set of storages, from local drives to clouds like Amazon S3 and OneDrive. You can schedule your CMS backup task to run at an exact time and to have a repeating period from a minute to some months. 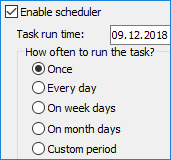 You can also force a task to run when the crucial system event occurs (e.g. a user log on into a system, or when you put a USB device related to a particular task to a PC slot). How to Backup CMS with Handy Backup? Create a new Handy Backup task. 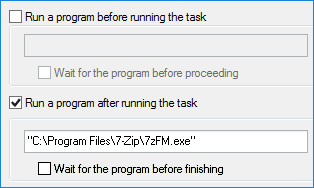 Select a backup task on Step 1. 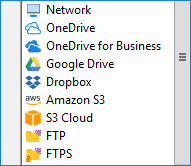 On Step 2, click onto an appropriate FTP plug-in (FTP, SFTP or FTPS). Click “Create a connection…” and in a new dialog, provide your website FTP connection data. Test a connection. If all works, click OK. In the data selection dialog, mark checkboxes against those static data that you plan to backup. On Step 2, choose an appropriate database plug-in in the “Database” group. Click “Create a connection…” and make a connection to this database if you need it. Select data in an appropriate dialog by mark checkboxes against tables and databases. Click OK and return to Step 2. Continue creating a task as described in the User Manual. 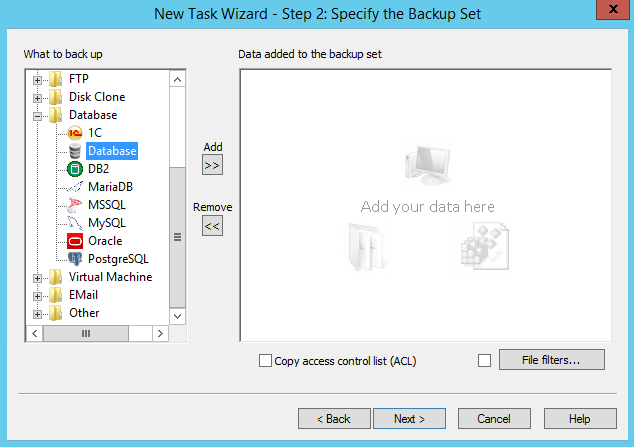 In Handy Backup, you can perform these two operations separately, or merge the sub-tasks under just one CMS backup task. Despite Wordpress is not a “classic” CMS but often viewed like a sort of standalone blog platform instead, Handy Backup can save Wordpress data with the same generic principles as for typical CMS backup software, and you can learn more about Wordpress backup in the dedicated article. The Small Business solution contains all plug-ins existed for a single machine just out of the box, and can also organize CMS backup through a network using FTP and database server protocols.! Multi-platform usability with native Windows and Linux support. Handy Backup is a well-equipped, featured program among different CMS software solutions for backup. 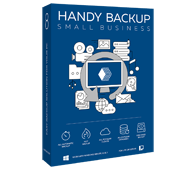 Try it now – download a full and free 30-day trial version of Handy Backup!